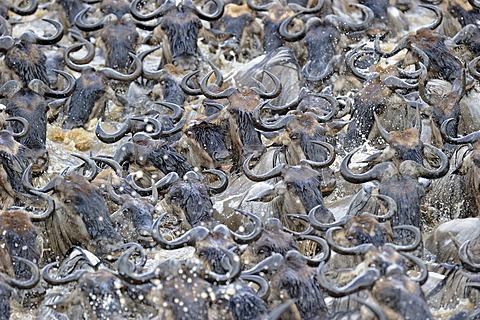 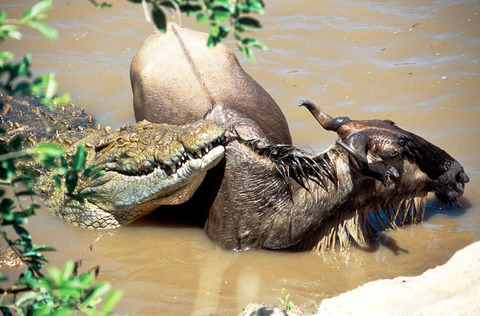 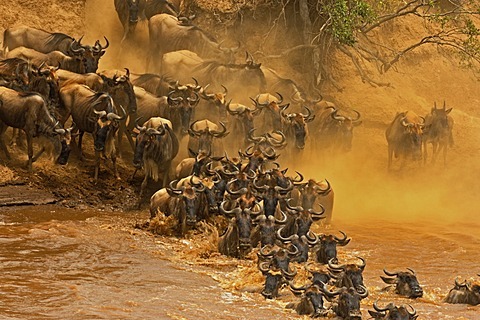 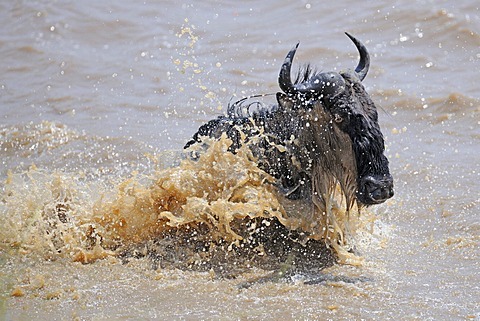 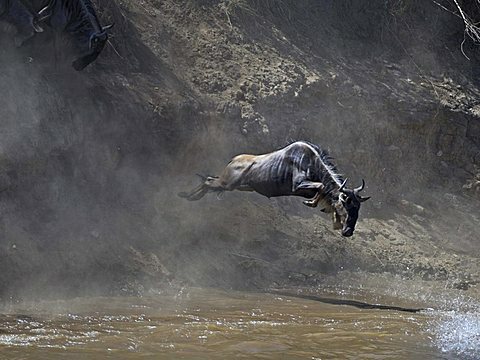 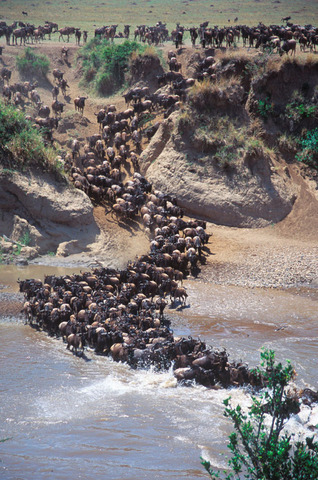 The great wildebeest migration is the largest and most spectacular movement of animals in the world. 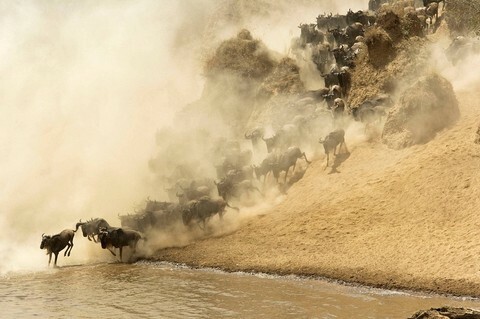 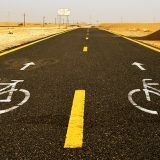 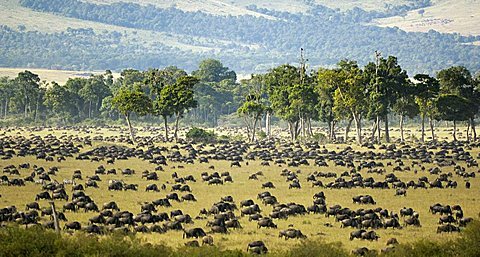 Over two million animals migrate from the Serengeti National Park in Tanzania to the greener pastures of the Maasai Mara National Reserve in Kenya between July and October. 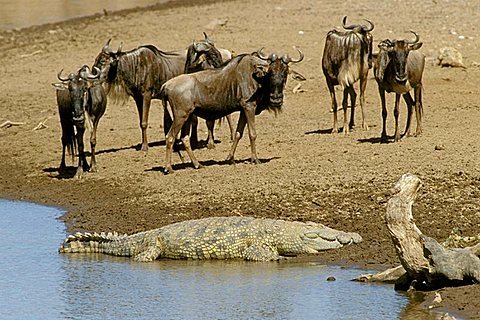 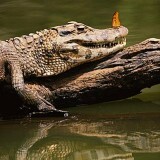 One of the most frantic parts of their journey happens in September, when they cross the Mara river where crocodiles lay waiting for them.